With sweeping views of the Indian Ocean, Bali's Nusa Islands, and Mount Agung, the private Villa 3631 captures the dramatic beauty and spirit of Bali within a beachfront hideaway of exceptional design and luxury. All of Villa 3631's eight bedrooms have direct views of the Indian Ocean and the 25-meter beachfront infinity pool. With the ancient Banyan tree and Pura Anyar temple at the estate’s entrance, and the nearly one hectare of landscaped oceanfront grounds, the villa provides a spacious and peaceful environment for a truly unique Bali experience. 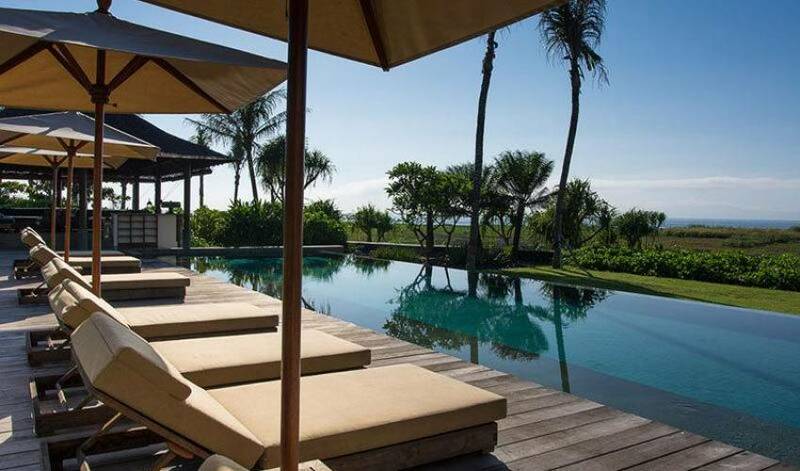 Nestled between the Pura Anyar temple and an oceanfront rice paddy encircled by coconut trees, the villa boasts a 70-meter stretch of volcanic sand beachfront with spectacular views across the Badung Strait and Indian Ocean to Bali’s Mt. Agung and the Nusa Lembongan and Nusa Penida islands. Villa 3631 is set on nearly a hectare of landscaped gardens and provides spacious living and sleeping areas for up to 16 adults in eight large ensuite bedrooms, all with direct ocean views. 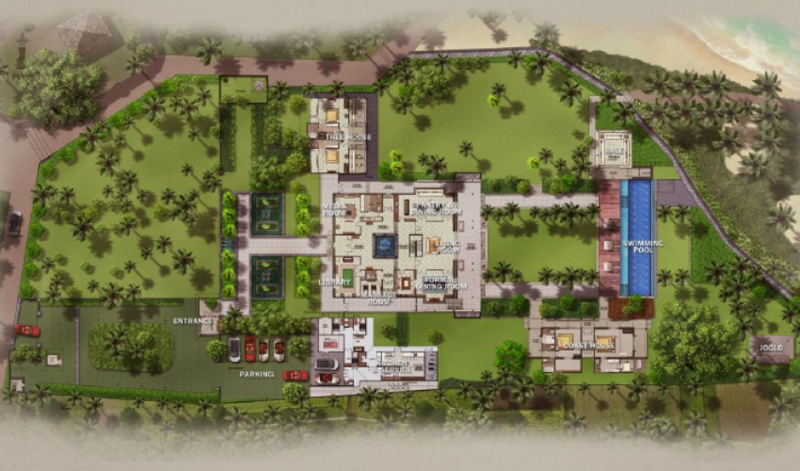 The estate's 17 principal rooms include a media room, a game room, a catering kitchen, a massage room and a gym. Many of these rooms can be converted into additional bedrooms. The main living, dining and great rooms open onto a back terrace overlooking the seaside grass lawn, the 25-meter swimming pool and the ocean beyond. The air-conditioned dining room can seat up to 20 comfortably while the more casual air-conditioned great room has a bar and kitchen area for more intimate family gatherings. The beach and poolside open air bale is perfect for relaxing, while a separate open air dining bale with a butler's pantry is ideal for casual meals and barbecues. For large gatherings, the rectangular seaside grass lawn can easily seat up to 200 guests. Villa 3631 is fully staffed with an in-house chef and complimentary car and driver. Upon entering the front reception bale through the original Madura 'Good Fortune ' gate, guarded by two traditional antique carved stone Prambanan lions, a broad pebble pathway leads between two large rectangular 'elephant' pools to the imposing front entrance with recycled four-meter high doors salvaged from a demolished old Dutch school in Java. The front entrance opens onto an internal courtyard that links the main common rooms with the three main living pavilions. The pavilions, the Tree House, the Beach House, and the Coast House, are designed in an L shape with all pavilions having direct sea, mountain and island views. The infinity pool and two bales are across the main lawn from the Beach House and directly on the beachfront. 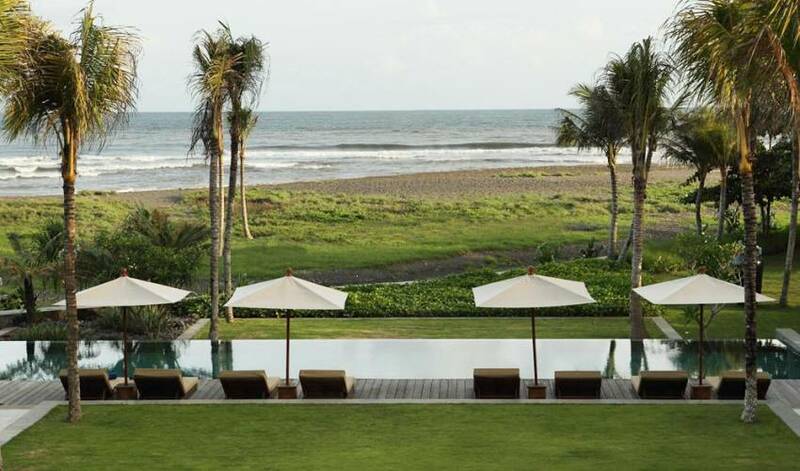 Life at Villa 3631 revolves around the 25-meter infinity pool, the bales, or the Beach House with its air-conditioned media room, game room, massage room and living and dining rooms. Most living is outdoors with breakfast and lunch in the dining bale and the day spent either on a lounger by the pool, on the beach, or on one of the oversized daybeds in the large relaxing bale. With private terraces off all the ensuite rooms and a large pool and deck area, there are various options for spending time together as a group or in the privacy of a guest's own personal space. The eight ensuite bedrooms at Villa 3631 are located in the Tree House, the Beach House, or the Coast House. All bedrooms have luxurious king-size four poster beds and are fully air-conditioned. Bedding and amenities are of the same fine quality that marks the resorts. The Tree House is the smallest of the pavilions and consists of a large master bedroom suite and a separate studio bedroom suite. Both suites have separate terraces with long relaxing sofas that face the ocean. The suites are large with high wood and bamboo ceilings. Both the master and studio suites have a seating area that can be converted to comfortably sleep two children. The master suite has a large private enclosed courtyard, a semi-outdoor shower and bath, and contains an antique Madura four poster carved bed. Both the master and studio suites have flat screen televisions. The two story Beach House is at the center of the villa and is the largest pavilion in the estate. The two master suite bedrooms are on the upstairs floor of the Beach House with large terraces and daybeds that offer unparalleled views of the ocean, islands and mountains. The views from the master suites in the Beach House may be amongst the most dramatic views in Bali. The two master suites in the Beach House are identical and flank the interior courtyard. Both suites have high pitched ceilings in the traditional Bali style with a wall of windows that offer views of either the beach or rice paddies. The wood and marble double sink bathrooms have both indoor and outdoor showers and large outdoor bath tubs set on a private terrace. The Beach House suites are furnished in a luxurious, yet simple style, that exudes an air of elegance and romance. The two upstairs suite rooms have two full glass walls with direct views of the ocean and the mountains of eastern Bali. The upstairs suites have large private terraces and extra large bath and dressing rooms with double sinks, high pitched ceilings and open air bath tubs and showers. The downstairs bedrooms consist of one suite room and a junior suite room. The suite bedroom has direct ocean views, a private terrace, a flat screen television and a double sink bathroom with a semi-outdoor shower and bathtub. The junior suite bedroom has views of the ocean and pool, and a flat screen television. This bedroom can be converted to a children's 'bunk' room. 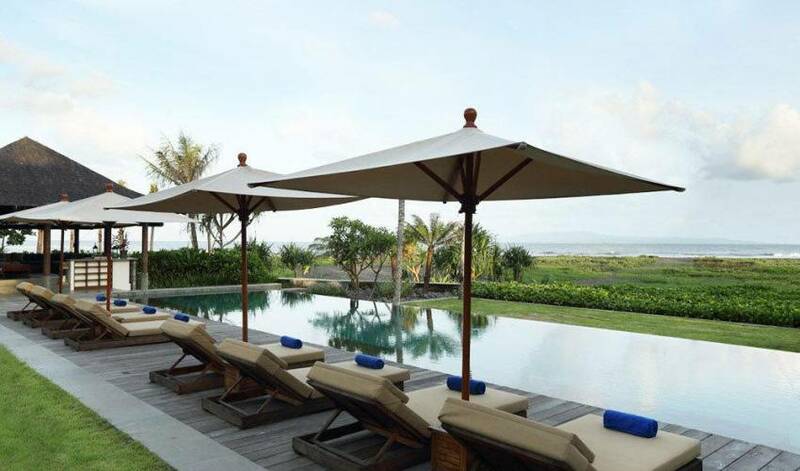 Villa 3631 is located on the beach at Pantai Saba approximately 40 minutes from the Bali airport along jalan bypass Ngurah Rai and the newly completed Bali East Coast road. 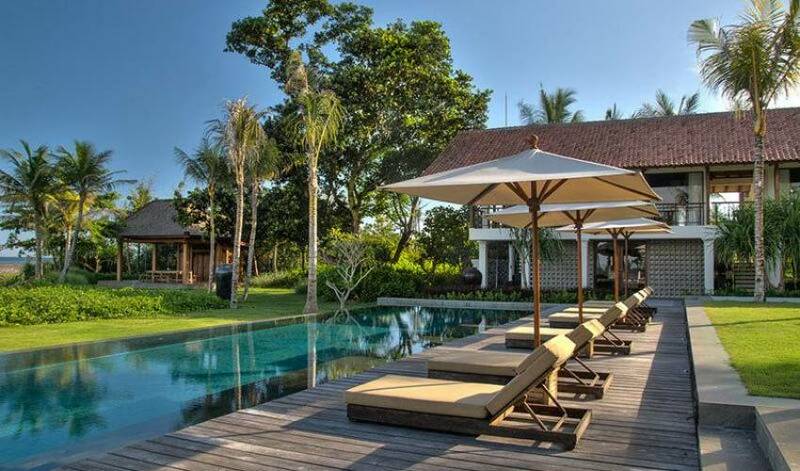 The villa is near the town of Blah Batu in Gianyar regency and is 11 km from the tourist area of Sanur and about 23 kilometers along a small road that winds through rice paddies from the mountain town of Ubud. 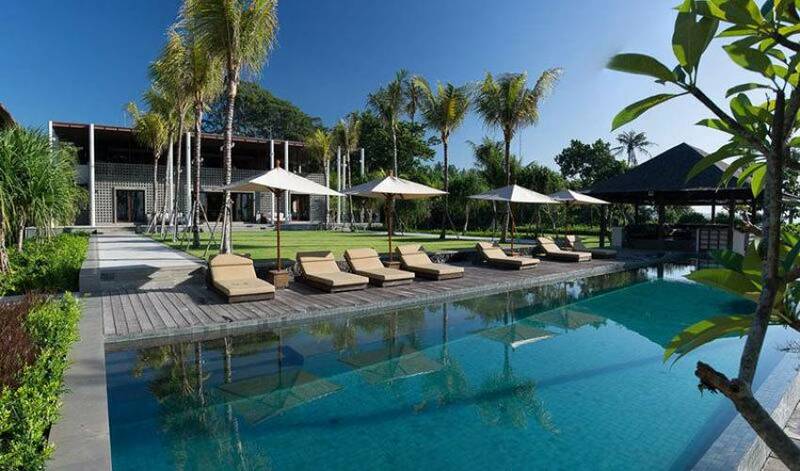 The villa is approximately a 45 minute drive from the main tourist areas in Kuta and Seminyak. Sanur and Ubud have traditionally been the home of Bali’s many local and foreign artists. Both towns, while developed, retain their own distinct Bali charm. 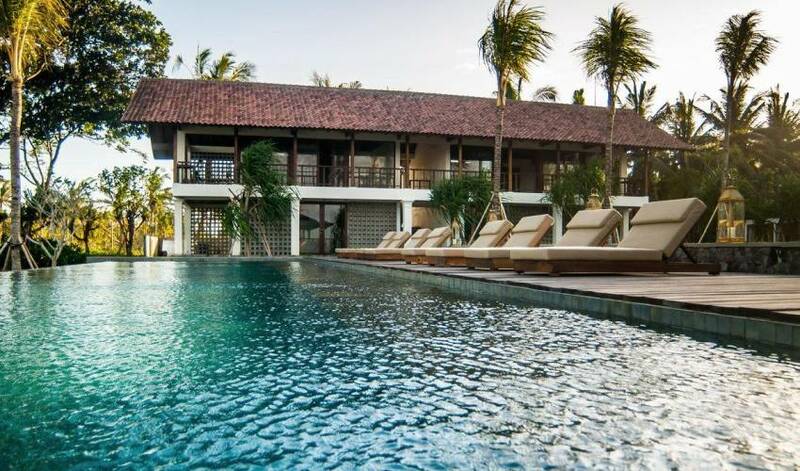 The villa is easily accessible to both Sanur and Ubud and the facilities and many restaurants and shops in those towns. Bali Safari and Marine Park is approximately 6 kilometers from the villa. Surfing and horseback riding facilities are accessible by foot from the villa. There is a protected lagoon about 100 meters down the beach from the villa and directly in front of the Saba temple that is excellent for ocean swimming.